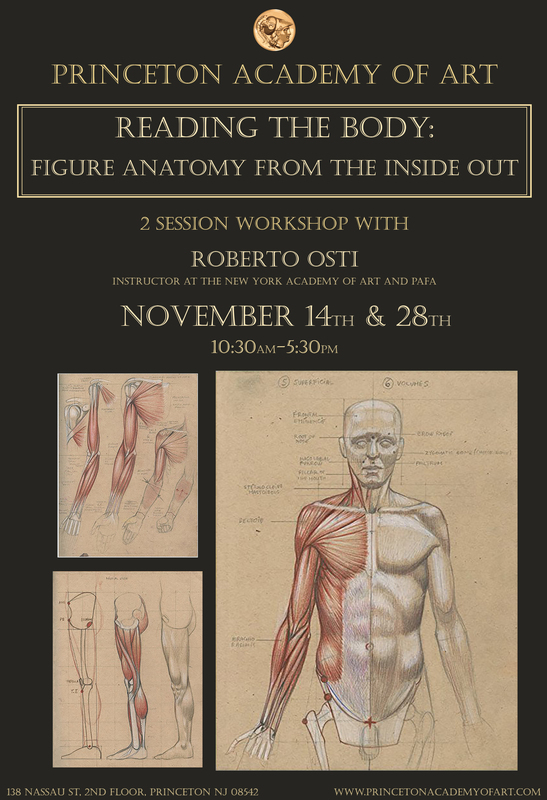 Please join us on November 14th and November 28th for a 2 Session figure anatomy workshop with Roberto Osti. Osti currently teaches at both the New York Academy of Art and the Pennsylvania Academy of Fine Arts. In this 2 day Figure Drawing and Figure Anatomy course the students will learn the essential structural and anatomical elements of the human body and recognize its inherent aesthetic characteristics, its rhythms and dynamic flows. This holistic approach emerged during the Renaissance, continuously developed since and is possibly the most effective method for learning and mastering the beautiful complexity of the human figure. 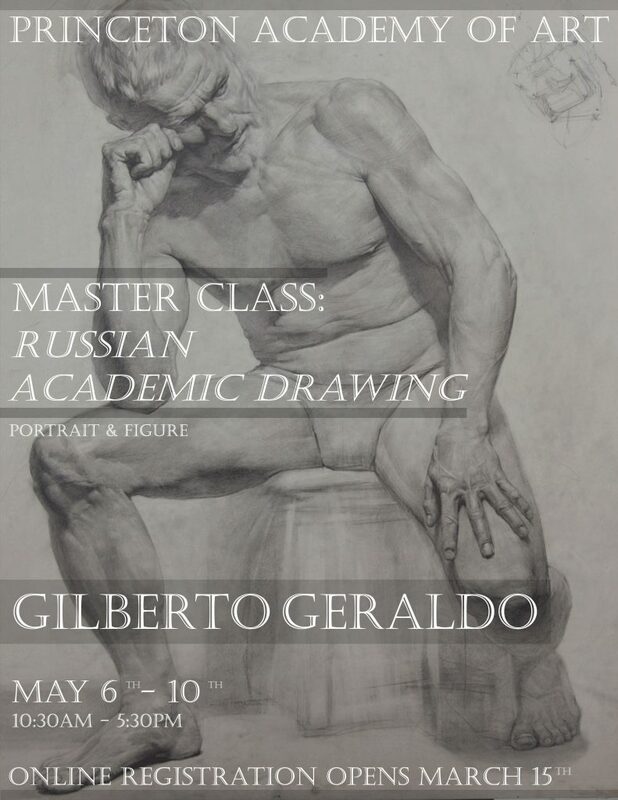 This knowledge will be directed toward the practice of figure drawing during the live-models drawing portion of the workshop with the intent of exploring the expressive and aesthetic qualities of the human figure. Each class will begin with a 1-hour lecture and demonstrations followed by a 5-hour figure drawing session with live models, alternating male and female models each day. All skill levels are welcome as Roberto will follow each student individually addressing their specific needs.